The term feral is defined as ‘especially an animal or fish in a wild state, un-captive, undomesticated, untamed, unused to humans, resembling or characteristic of a wild animal’. Do you see where we are going with this now? Further Off The Beaten Track epitomises the feral carp. Feral can also mean, ‘a young person behaving in a wild or antisocial way’ hence my bracketed reference in the title! 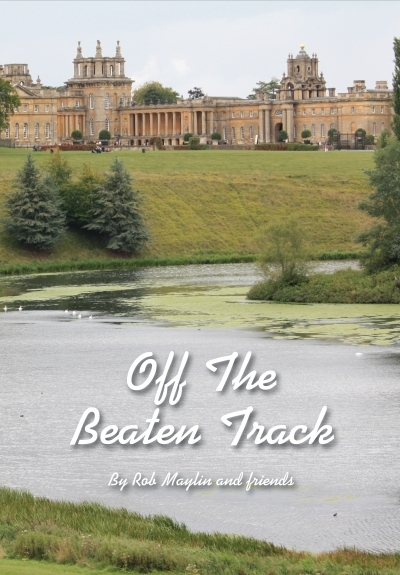 The Off The Beaten Track series has become by far and away our most popular book series; never have I had so many requests for more, more, more of these stories. They captivate the imagination with their tales of the uncaught. They intrigue us with stories of neglected overgrown pools quietly visited in the dead of the night, our feral hunters stealing away before daylight gives them away. Never before have these prizes been seen by other anglers because these photos were never meant for us to see. These night stalkers leave no trace of their intrusion; they are not the ones who litter our fisheries, smashing down vegetation to erect their six-man Eurodomes. These anglers are the most respectful of their surroundings, crouch quietly in the undergrowth, scanning the lake surface all night for a precious sign of a carp’s existence. They are not watching TV with a freshly delivered pizza from the local shop, waiting for a call signalling Gut Bucket’s tenth capture this season. In truth these explorers are sometimes fishing for myths, for ghosts and for the unphotographed. Getting people to part with their stories is another matter. Most are shy and reclusive. They don’t seek bait deals and sponsorship, and the last thing they want is publicity! In truth they would prefer that no one knew anything at all about their exploits. Why would they give up their tiny bit of paradise and risk being judged by jealous ‘keyboard’ carpers waiting in the wings with their negative comments, really wishing it were they? There will always be a few, and hopefully by ignoring them they will go away! In fact there are hundreds and hundreds who have ‘had a little dabble’… many more than you would ever expect. The estate lake, the pheasant farm, school or farmer’s pond… who hasn’t taken a little look? And what if you were confronted by an uncaught monster? Well, it would be rude not to! The Black Mirror in Colnemere was a prime example, and didn’t we all congratulate the valiant guesters who took up this monumental challenge? So if you have caught such a monster, my message is clear: come forward to Big Carp – our readers will not judge you, and we will gasp in awe at your catches and wish we too held that prize. secluded homes held only a handful of carp, all never caught before. Will Mant discloses his catches for the first time after tempting us in the last Off The Beaten Track book with a couple of photos of The Brackish Pit’s incredible stock of plated warriors. Each one so beautiful it takes your breath away. Keith Williams unlocks the treasures of the Norfolk Broads, and who knows what this unbelievable expanse of water holds? Some uncaught monsters for sure. More news from Keith soon as he begins his 2015 campaign on the UK’s largest expanse of waterways. 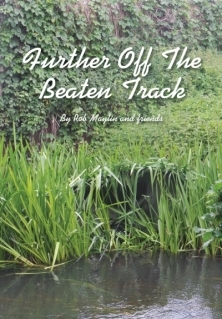 Two farm ponds feature in this issue both with their secret carp. How many other unfished farm ponds lie dormant out there just waiting to be uncovered? Leon makes his debut in this book, the essence of ‘feral’ in every way. His tales of the Cambridgeshire unknown will inspire every hunter to take to the bank. Craig Runham’s tales of the 400-acre Theale Lagoon are truly inspirational. His pioneering on the massive windswept sea took guts and determination above and beyond any normal carp fishing scenario. The fish are incredible, and the potential for this water to turn up a massive fish one day is high. Marc Twaite took on a fifty-acre Northern pit with little knowledge of its inhabitants, and the results were amazing, culminating in the capture of a previously unknown forty-plus common, and his exclusive full story can be read for the first time here. Deiniol Robert's chapter ' Tales from the long valley ' makes fascinating reading , a ' No Fishing ' 120 acre gravel pit became the home of two mirror carp allegedly stolen from a nearby gravel pit. Left alone for several years they grew to epic proportions until Deiniol and a friend came across them. They poached the venue for a couple of seasons and were fortunate to land one of the monsters, then by pure chance they opened up the lake for fishing to a select few got permission including Deiniol but was the missing monster ever landed?....read on. 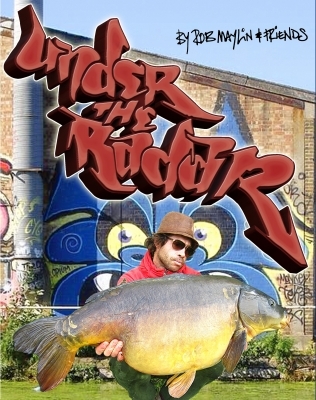 There are chapters also on an unknown monster in the Wensum Valley, beasts of the county park, an old monastery lake, ditch carp, Fen drains and urban banx – those amazing carp caught amongst factories and high-rise flats. There are so many varied, unfished venues – far too many for one lifetime. A massive thank-you to all those who stepped up and shared their secrets so that we too could stare in awe at their great beauty.